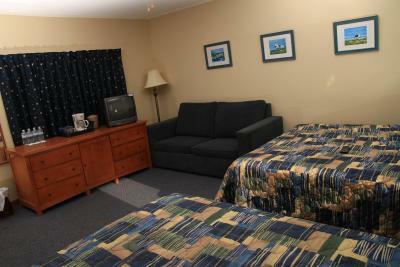 Lock in a great price for Alpine Motor Inn – rated 8.2 by recent guests! Conveniently located to local attractions. Clean. Comfortable beds. Kitchenette. Good local restaurants. 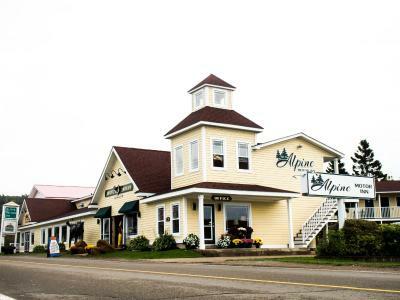 Very nicely located in the village of Alma. Walking distance to everything. 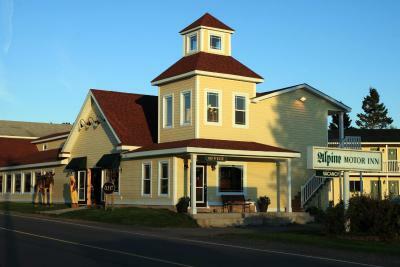 Was situated right on the Bay of Fundy allowing viewing of the massive change of tides. The motel was right next to the Bay of Fundy and park. We were able to park at the motel and walk to the beach, post office, local brewery, bakery and restaurants. A large gift shop was on the premise. Everyone was very friendly. Helpful staff and central location were outstanding points. 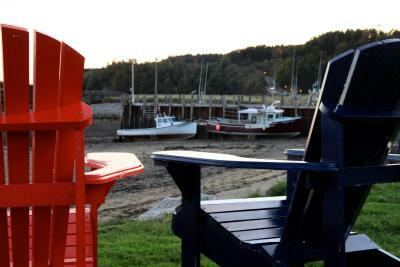 Really loved having the Adirondack chairs out on the large lawn looking right over the Bay and docks. Easy access to everything in the town. It’s all around amazing! Great location in Center of gorgeous village steps from many restaurants, bakery, sea. 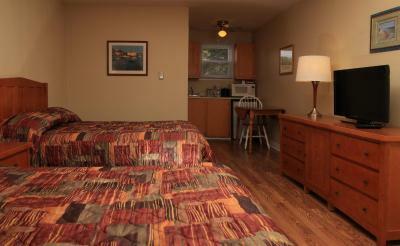 Rooms are spacious, although be aware some are a bit smaller so best to ask to avoid being in the smaller rooms. Can’t get any better. The room was clean and large. The staff was very friendly and welcoming. The view of the bay was great and it was so easy to watch the tides from the wonderful adirondack chairs the motel had set up for their guests (and such a nice way to meet some of the other guests). Great, central location. Everything was close by. 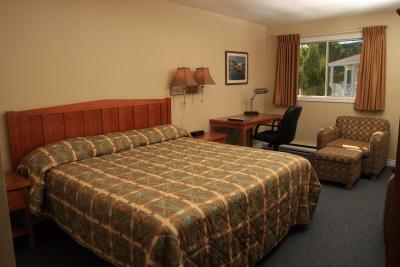 Staff was friendly and location was great, but the room did not meet our expectation for the price . 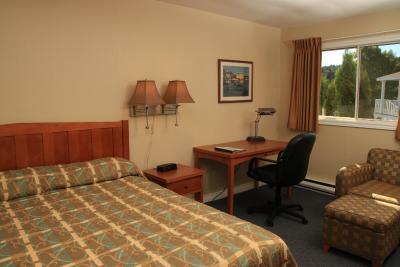 Boasting bay views, this Alma motel is located 4 minutes’ walk from Fundy National Park. 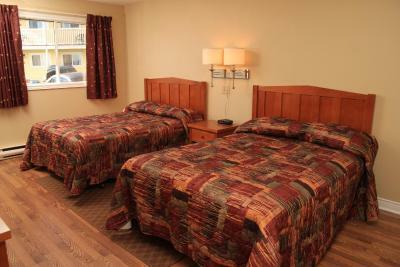 Free Wi-Fi is provided in all guest rooms and a seasonal outdoor pool is offered. 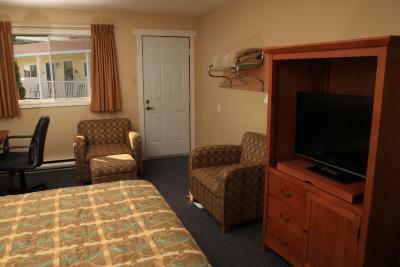 A flat-screen TV with satellite channels is included in guest rooms at Alpine Motor Inn. 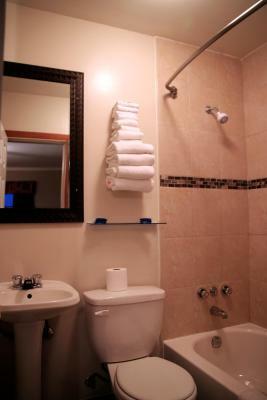 A coffee maker is offered and free toiletries are provided for added convenience. Select rooms feature a kitchenette. 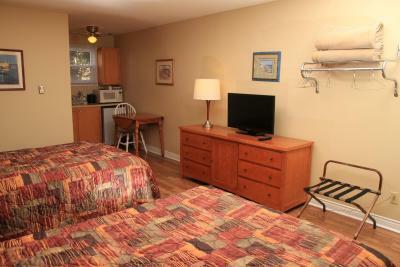 Bay of Fundy beach access is offered directly behind Alma Alpine Motor Inn. A picnic area includes outdoor seating. The Hopewell Rocks are located less than 40 minutes’ drive away. Cape Enrage Lighthouse is 13 mi from Alpine Motor Inn. 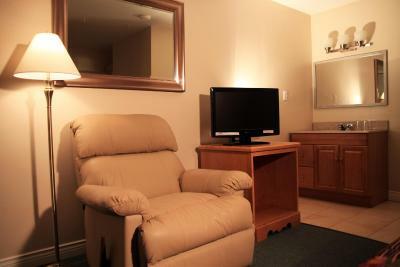 Free Wi-Fi, a flat-screen satellite TV, a kitchenette and a dining area are provided. Sea views are offered. 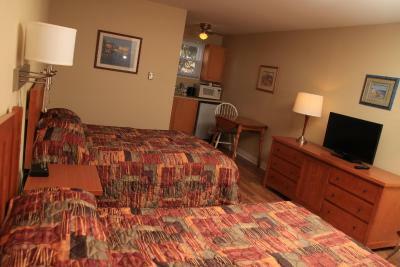 Free Wi-Fi, a flat-screen satellite TV and a coffee maker are included. Sea views are offered. The parking lot was really crowded, as we arrived rather late. we were lucky to get one of the last spots. We expected really not much, another Motel, especially for the reasonable price. 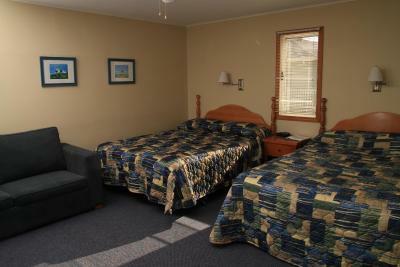 But the room we had, seemed recently renovated and was nice and modern, very clean and comfortable. A little good equiped kitchenette, which we did not expect. Breakfast was not available, but a bakery and a family restaurant right next door/across the street. right at the beach, Fundy National Park around the corner and the FlowerPots close by. 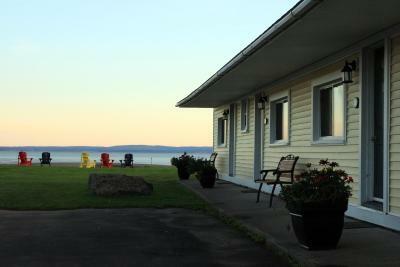 Perfect location right on the Bay of Fundy to easily view the massive tidal changes and close to entrance of Fundy NP. The room was very comfortable; spacious bathroom with large shower cubicle; kitchenette had microwave, hot plate, coffee maker, fridge, crockery and cutlery. Parking was a bit of a free for all but not problematic. The staff in the office of the attached gift shop, Moose’n Around, were friendly and helpful. Alma is a lovely village with everything within walking distance. There was, and I believe still is, a boil order in effect so the Hotel provided unlimited bottled water. Plenty of eateries in town – recommend Sapranos Pizza a 5 minute walk away. Minor matter about public water system but hotel accommodated us fine. Room is modest but we loved it. 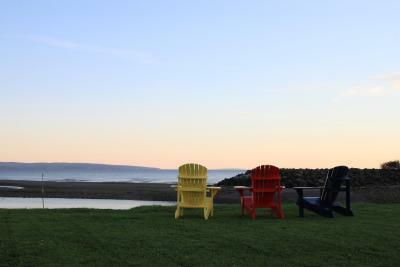 Perfect location to watch the tides of the Bay of Fundy. We were in room 11 and loved the view. Very small bathroom with only toilet & shower however quite difficult to move. 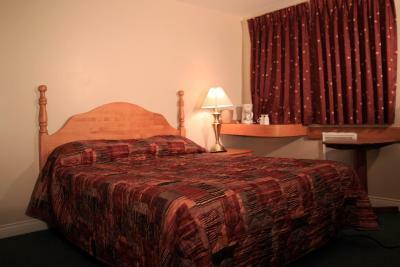 Great location on the seafront with comfortable beds, good linen and helpful staff. Quiet location, attractive room with plenty of hanging place. Basin for bathroom outside toilet area. Fridge and coffee making. Our room was a bit small and outdated. Steps away from the ocean. We could see the tide rolling in over a period of 3 to 4 hours. Great to see. There are chairs available to sit and watch. Toilet seat was broken shower was tight fit. There was a boil order and the bathroom was tiny but I’d go back again. Central to everything and the view is amazing. The bed was very hard. Other than that the all was good.